Rev your engines! The Sixth Annual Central Coast Classic Motorcycle Show rides into town on Oct. 11! 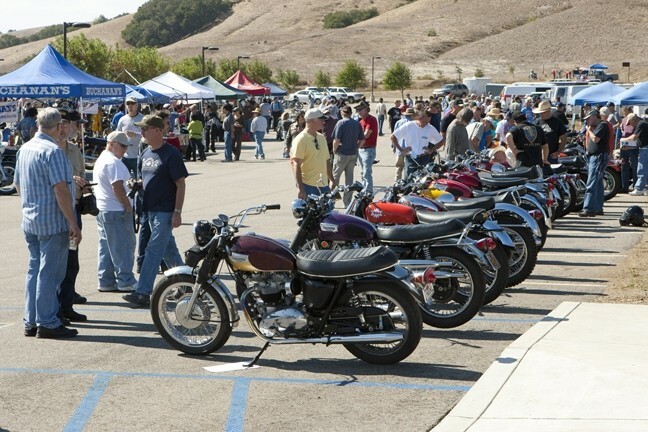 BIKES & BIKE LOVERS: On Oct. 11, head to SLO Mountainbrook Community Church for the all-day Classic Motorcycle Show and Swap Meet. Anyone with a passing interest in vintage motorcycles will no doubt be gathered this Saturday, Oct. 11, at SLO’s Mountainbrook Community Church, where dozens and dozens of classic motorcycles will be on display, many to be judged by this year’s Grand Marshall Virgil Elings, owner of the Solvang Vintage Motorcycle Museum. Elings’ story is one for the ages. He earned a Ph.D. in Physics from M.I.T., then came to Santa Barbara to teach Physics at UCSB, where he developed the first Graduate Program in Scientific Instrumentation. On sabbatical in 1987, he co-founded Digital Instruments (DI), a company that soon became the industry leader of Scanning Probe Microscopes—“the first scientific instrument to actually ‘see’ individual atoms,” according to Elings’ bio. GRAND MARSHALL: Virgil Elings, who owns the Solvang Vintage Motorcycle Museum, will act as Grand Marshall. 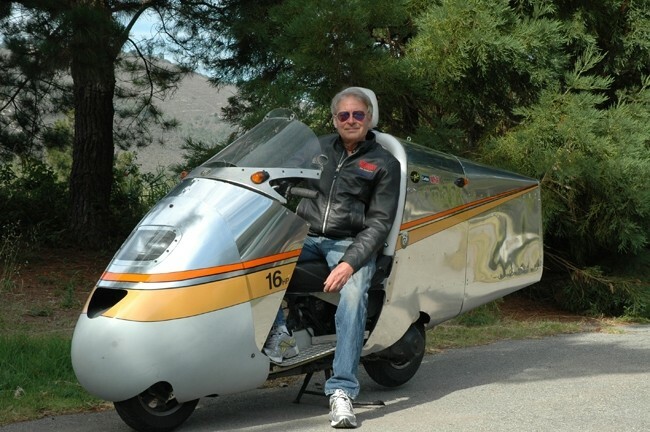 When the university requested he sever ties to Digital Instruments due to what it claimed was a conflict of interest, Elings quit, grew his business, merged it in 1998 with Vecco Instruments, and then retired to pursue his many interests … including amassing a world-class collection of vintage motorcycles. 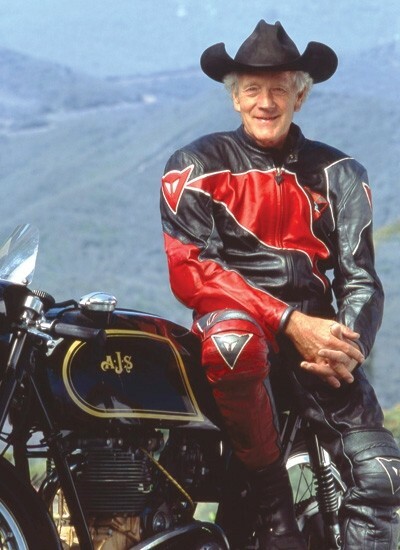 Elings first rode bikes in junior high, and when he graduated from high school in 1958, he rode his BSA from Iowa to California and back. He’s also raced in the circuit of the American Historic Racing Motorcycle Association, though he’s since retired from racing. Those wanting to show their bikes will begin to arrive at 7 a.m. Gates open to the public at 9 a.m.. Show bike registration closes at 10 a.m., and judging will take place from 10:30 a.m. to 12:30 p.m. From noon to 2 p.m., attendees can watch the motorcycle games as riders compete in a variety of contests. The awards ceremony runs from 2:30 to 3 p.m., and the event ends by 4 p.m. GUEST OF HONOR: Last year’s Grand Marshall, Craig Vetter, returns as this year’s guest of honor. If you’ve got motorcycle fever, this weekend’s event is the cure for what ails you! The Central Coast Classic Motorcycle Club once again hosts their annual Classic Motorcycle Show and Swap Meet on Saturday, Oct. 11 from 9 a.m. to 4 p.m. at SLO’s Mountainbrook Community Church. Admission is $10; food and beverages are available for an additional purchase. Aside from tons of amazing classic bikes, vendors will sell all things motorcycle related. If you want a teaser of the event, some bikes will be on display on Thursday, Oct. 9 from 6 to 9 p.m. in SLO’s Union Bank parking lot during Farmers Market.